Cramer joined the Department of Telecommunications in 2010 as a post-doctoral fellow for the Insitute for Information Policy, serving as Managing Editor of the Journal of Information Policy. He became a Senior Lecturer in 2014 and an Associate Teaching Professor in 2017. His research focuses on media law and telecommunications policy, with concentrations in government transparency, democratic theory, privacy/surveillance, and the political economy of communications. Environmental law is a significant outside interest. He teaches courses in telecommunications law, media law, and, on occasion, environmental policy. He previously served as a Visiting Professor of telecommunications and public policy at Central European University in Budapest, Hungary. 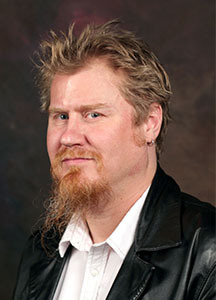 He has published several peer-reviewed journal articles, presented more than a dozen conference papers, and published the book Freedom of Environmental Information (2011). Cramer also has nearly a decade of experience as a curriculum designer and as a classroom instructor in the information technology field, and is the author/editor of five general interest books about outdoor recreation.